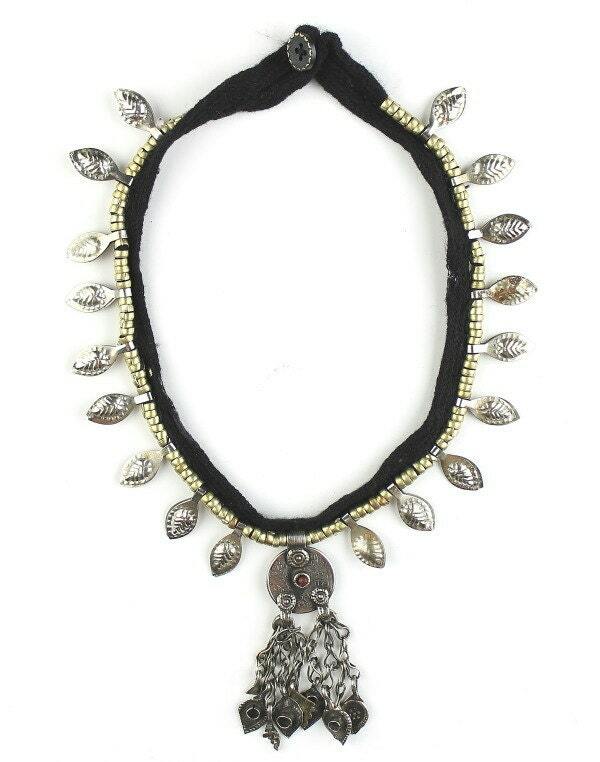 The black fabric of this choker is adorned in a string of brass beads and silver leaf pendants. 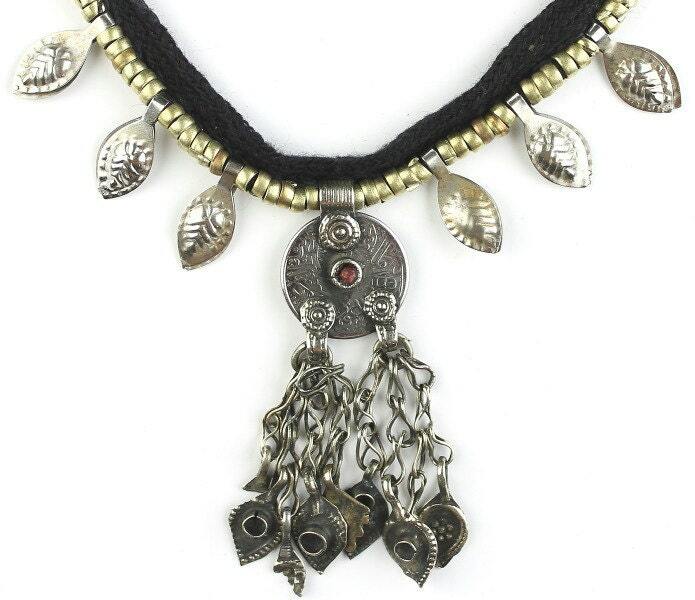 Centerpiece is a beautiful middle eastern coin with a set jewel and dangling chains. Necklace has a button hole closure. Material is cloth, brass, and german silver.